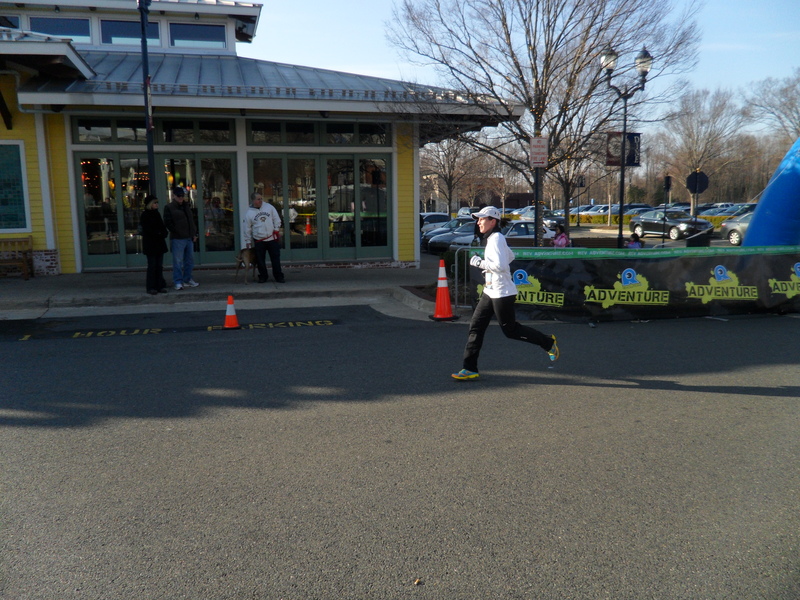 On Saturday I ran the Run Rogue 5k in Fairfax for the second year in a row. The race was organized to honor friends and family who have fought and continue to fight cancer, and proceeds from the race are split evenly between Life With Cancer and the Accelerate Brain Cancer Cure. I’d been dealing with a cold all week and was up a lot of the night before coughing, but this race was important to me since both breast cancer and brain cancer have touched my family over the years, and I really wanted to be out their helping raise money to find cures for these diseases. It’s a very family-oriented race, so the start line was crowded at the front with lots of little kids and people pushing strollers. My annoyance at the stroller runners lining up so close to the start quickly turned into envy when one woman pushing a stroller blew by me half a mile in. I never caught up to her…impressive. 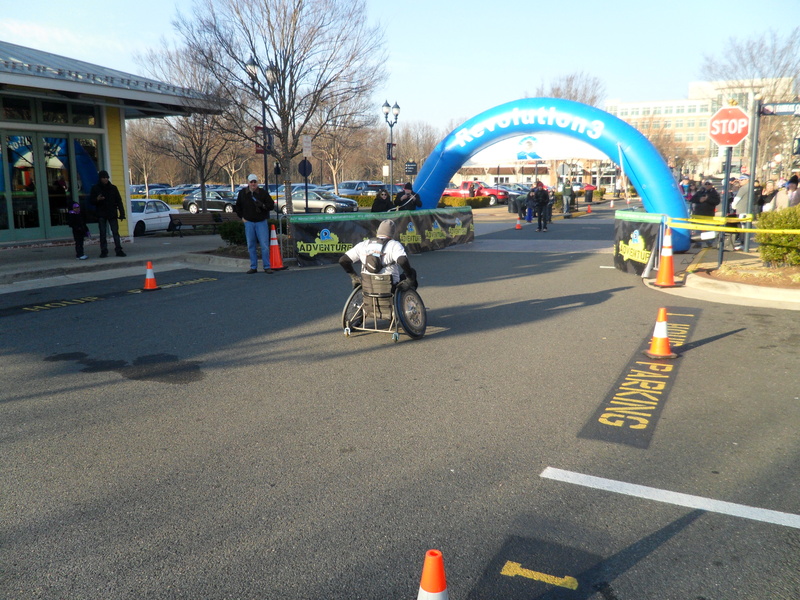 The wheel chair racers took off first. These guys always impress me – talk about upper body strength! Ian was nice enough to wake up early with me to drive me out to Fairfax, support me during the race and take all these pictures. He even managed to snag one of me amongst the crowd at the start. I felt about as happy as I look in this picture! It was not my day for racing and I struggled from the start. Every step and breath felt more labored than it should, and I couldn’t find my speed. 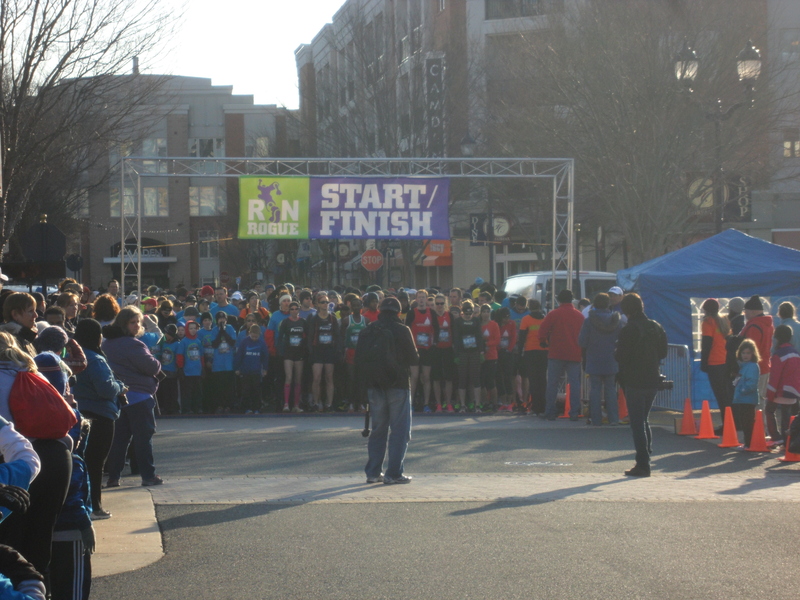 The race field spread out as soon as we worked our way out of the Fairfax Shopping Plaza area and really began the run. The course was filled with rolling hills. I felt like a whole lot more of them were going up then down, but that could just be because I was struggling. Chilly at the start, I finally dressed in just the right layers for me for this race, and at least felt just right as far as temperature was concerned. The sun shining brightly made me feel a little better about how cold it still was in late March. I wore a tank top with a built in sports bra topped with a long sleeve tech tee and a Nike half zip. I also wore my Nike dry fit pants, CEP compression socks and of course, my Newtons. The winners came flying in well before me. The first male, Josef Tesema of Springfield, Va., crossed the line in 15:10 for a pace of 4:53. Wow. I would love to know what it feels like to run that fast. 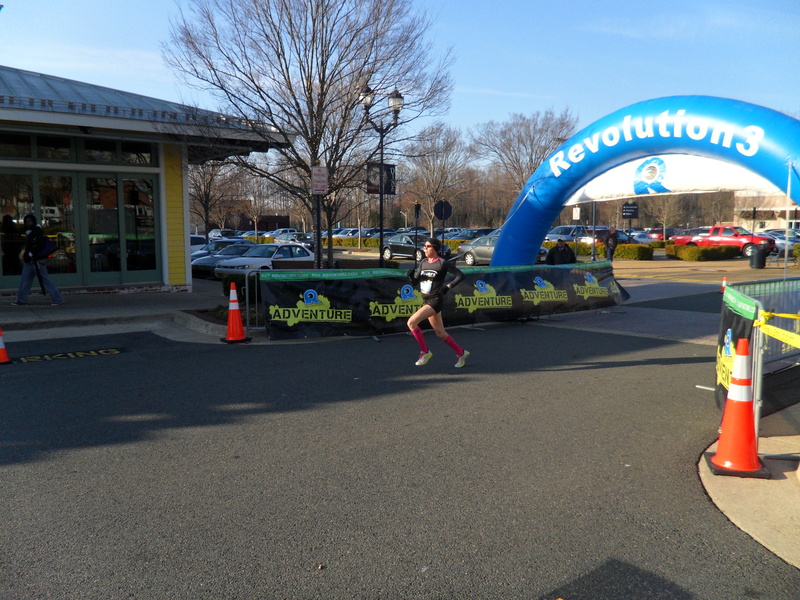 The first woman, Barbara Fallon Wallace of Alexandria, Va., came through in 18:04 maintaining a 5:49 pace. Congrats to both of them on their wins! After what seemed like forever, I finally made it to the finish. I finished in 22:37 for a 7:36 pace putting me as the 72nd overall finisher out of 797, 20th of 482 females, and 10th out of 126 in my 20-29 age group. It was way off my PR and actually a slower pace than I hope to run my half marathon in just five weeks from now, so I wasn’t thrilled with that. It was for sure not the slowest 5k I’ve run, but I don’t think I’ve ever felt worse along a 5k course and wanted it to be over as badly. Here’s hoping it was just because of this cold I have and that it goes away quickly! 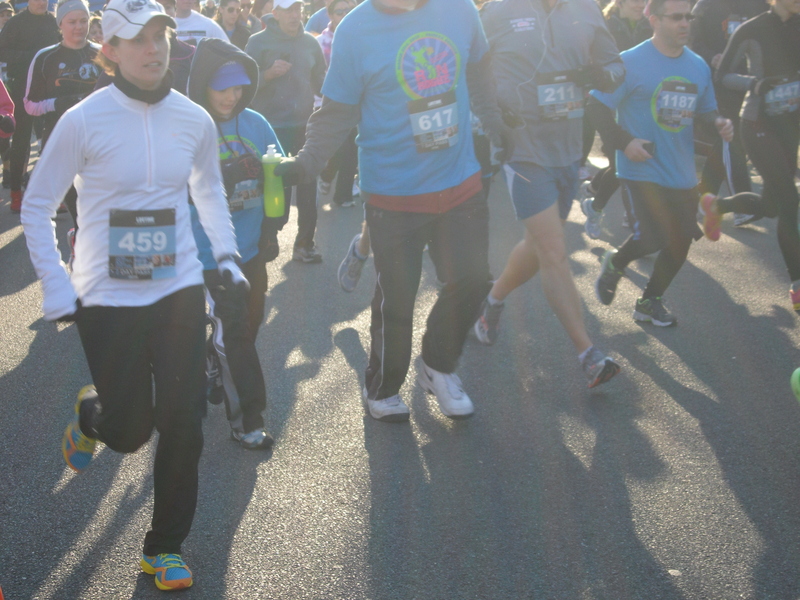 On my way to the finish – didn’t even have energy to do a final kick. I found Ian after the finish and despite not having a great race felt really good that I’d still come out and done this one. 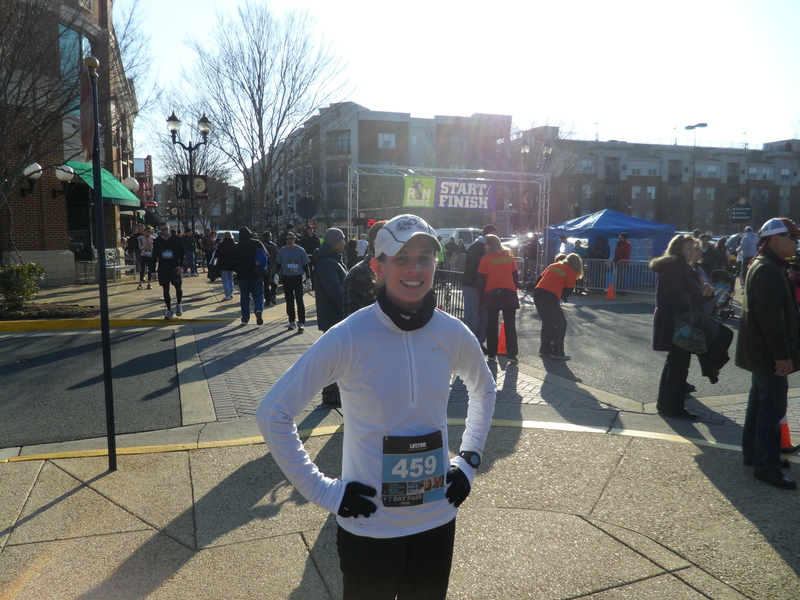 I even managed a smile for my post-race pic by the finish line. 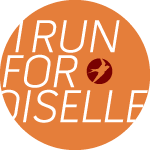 This race is well-organized and supports an awesome cause so I highly recommend it for anyone in the area. Ian and I decided to take advantage of being up and out early to find somewhere to eat brunch and ended up at Eggspectation. This place was awesome. 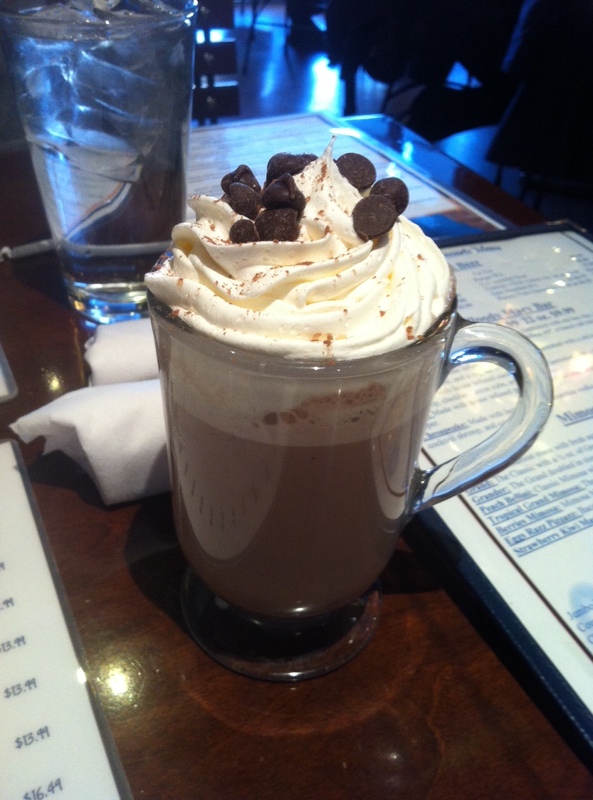 I started off with a hot chocolate to warm back up. For brunch I ordered their Yoke Around the Clock meal. It’s a bagel cut in half, placed face down on the grill, and topped with sunny side up eggs, cheese and bacon. It was oh so good, and while I couldn’t eat all of the potatoes and fruit that came on the side, they were just as tasty. 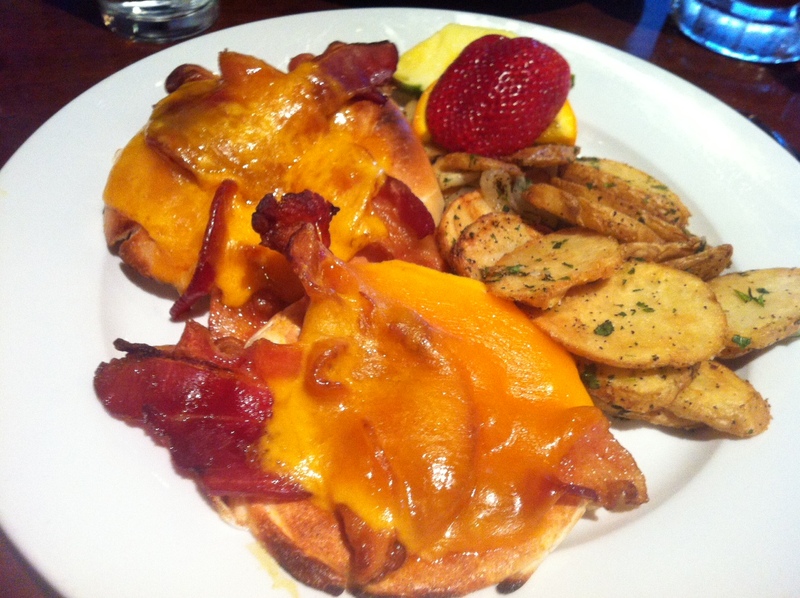 Check out Ian’s post over at Croutons Stuck in Futons for the full brunch recap.